Author Sigurd F. Olson once called it “the most beautiful lake country on the continent,” and it is commonly listed as one of the greatest vacation destinations in all of Minnesota. Ely is a quaint city located on the Vermilion Iron Range in Saint Louis County, Minnesota. Around 3,400 people call this place home, and it’s no wonder why. From some of the finest attractions in all the northland, to the scenic terrain of the Boundary Waters Canoe Area, Ely offers it all. The summertime provides a haven for cabin owners and visitors alike, with a wide range of restaurants and museums intertwined within the wilderness experience. One of the most well known destinations in Ely is the more than one million acres that is the Boundary Waters Canoe Area Wilderness (BWCAW). 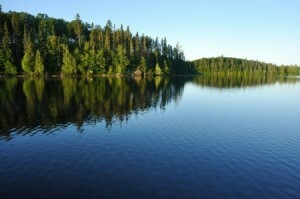 Located within the Superior National Forest, it is one of the most serene areas in the Midwest. It contains over 1,500 miles of waterways for both the experienced and the amateur outdoorsman, but just remember that motors are only allowed in designated areas. Bring the camping gear for a truly unique experience. Entry is by permit only––you will come to appreciate this when you happen across an entirely empty lake all to your own. For the adventuring side of you, almost every outdoor activity is possible in Ely. The waters are filled with a variety of fish including walleye, crappie, small and largemouth bass. You and your fishing pole will be accompanied by the sounds of loons nearby. Various hiking trails provide a more intimate look at the wildlife surrounding the city, and mountain biking trails provide the perfect opportunity for exploration and photography. If a rainy day dampens one of your vacation days, the various museums that Ely offers cannot be missed. 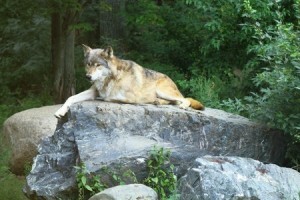 One of the most popular is the International Wolf Center, which is one of the leading wolf educational organizations in the world. This makes it a great attraction for the entire family, as you will not only be face to face with a gray wolf, but will also learn a great deal about their behavior and habits. The North American Bear Center also allows for a one-of-a kind interaction with Ted, Lucky, and Holly, the three resident black bears. Ely offers many historical looks at its beginnings and its people. The Bois Forte Heritage and Cultural Center celebrates the life and ways of the Bois Forte Band of Ojibwe. Another fantastic museum is the Dorothy Molter Museum, which is a memorial to the last resident of the BWCA, Dorothy Molter (affectionately called the “Root Beer Lady”), who passed away in 1986 after 79 years in the Northwoods. For those looking to purchase a cabin or lake home, or if you’re just looking for a wonderful vacation, look no further than Ely, Minnesota. From history to the great wilderness, the city caters to each and every person. Bring the family or plan a romantic getaway; it’s time for the “last great pure experience”: Ely.